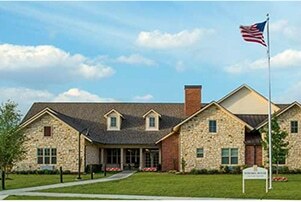 At Sonoma House in Carrollton, we look to change more than just the architecture of assisted living. We want to change its culture—to transform it from anonymous to personal, too big to just right. We are a family owned and operated not-for-profit community focused on our residents’ health, happiness and success. It’s our mission to provide seniors with the freedom they deserve while delivering the assistance they need, empowering them to continue with their daily lives in a safe and social environment. What is “Small House” Assisted Living? Our innovative “small house” concept provides significant benefits over the traditional facility model. It allows us to mirror the comforts and appeal of a personal residence while offering a safe, purpose-built environment and affordable high-quality care. 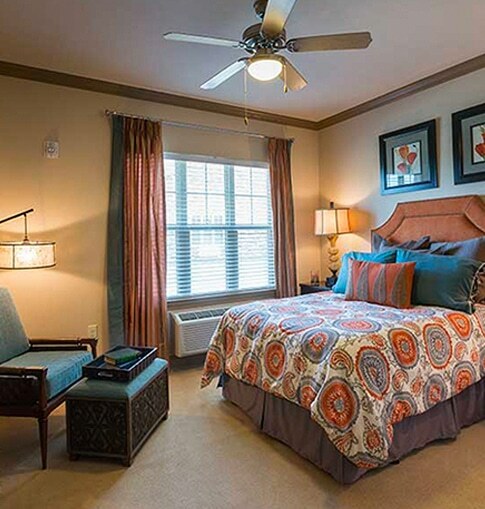 Occupied by just 16 residents each, our well-appointed homes feature inviting indoor and outdoor living spaces. They are administered by dedicated professional and universal staff who handle everything from direct care and activities to household functions such as laundry, housekeeping and meal preparation. This approach fosters a familiar, family-like atmosphere and, combined with our lower resident-to-caregiver ratios, results in extremely personalized care and a greater degree of choice. 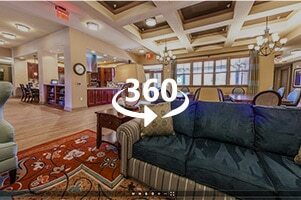 Our signature resident evaluation program, Sonoma House Cares, enables us to tailor your loved one’s assisted living experience to fit his/her personality and unique needs. It also empowers our caregivers with the right information so they can better serve our residents. To learn more about our assisted living program, call us today at 972.385.0500. 2019 Sonoma House. All rights reserved.